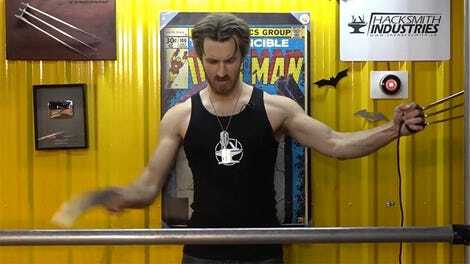 There are two great reasons to follow this tutorial which teaches you how to turn 15 wooden popsicle sticks into your own set of wearable Wolverine claws: 1) You get to run around pretending to be Wolverine, popping balloons and being awesome. 2) You have a great reason to eat 15 popsicles. 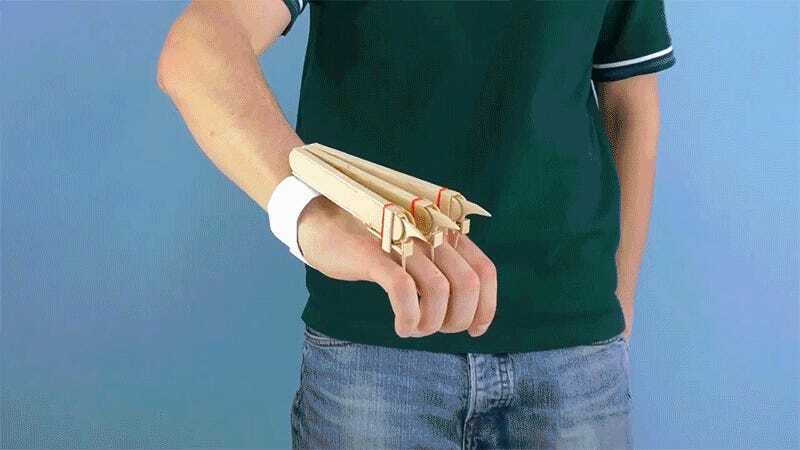 You’ll also need to find some elastics, a tube of glue, and be somewhat capable with a hobby knife to complete this build. So if you successfully passed your grade five art class, you should have all the skills you need to turn yourself into an X-Men wannabe.